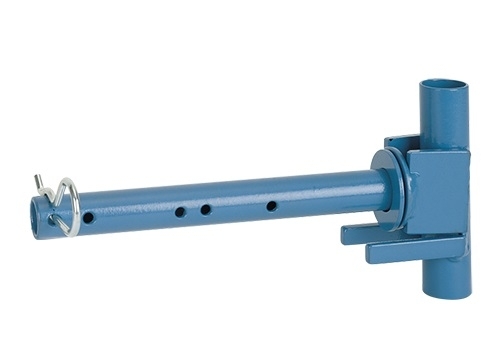 Use the Pole Bracket for all 90 Degree and 45 Degree Corner Blocks. 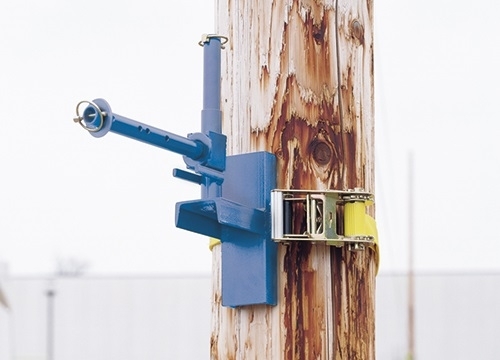 A ratcheting strap design provides easy set-up, while offering a tight fit to the pole. Bracket is steel with a vertical shaft to receive Corner Block. A safety clip is provided to hang unit from strand while installing.